The inaugural Kick & Push Festival is Kingston’s newest summer attraction, and you definitely aren’t going to want to miss this! 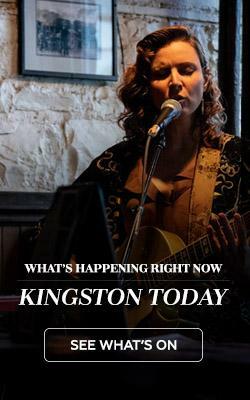 Six theatre companies have teamed up in a collaborative effort to fill downtown Kingston with exciting events that are unique to the city and include Theatre Kingston, Blue Canoe Productions, Single Thread Theatre Company, the Cellar Door Project and special guests Fixt Point and Convergence Theatre. Not only is this festival a theatre lover’s dream, but it’s perfect for anyone wanting to break away from the ordinary and try something new. Audiences will have the chance to become immersed in these performances like never before! On December 1st 1919, theatre tycoon and self-made millionaire Ambrose Small sold all of his theatres at a profit of 1.7 million. The next day, he disappeared and his body was never recovered. 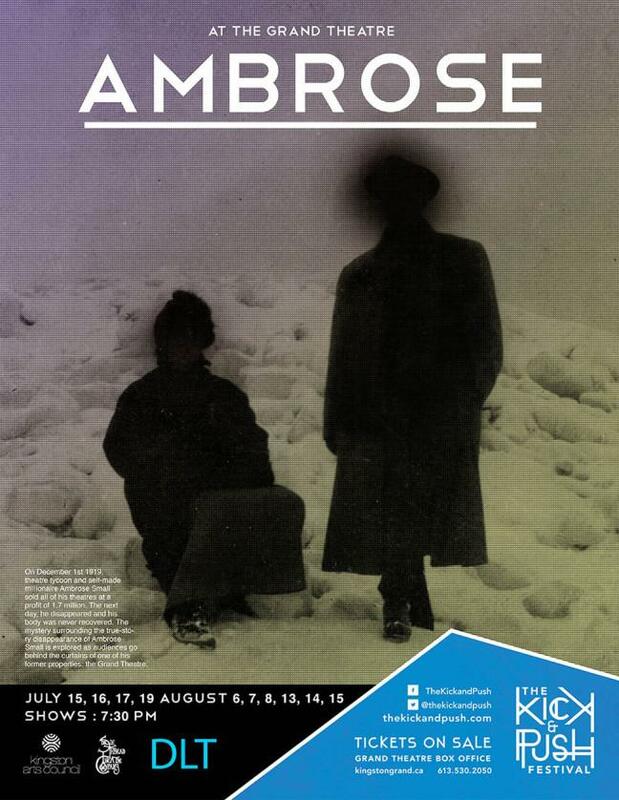 The mystery surrounding the true-story disappearance of Ambrose Small is explored as audiences go behind the curtains of one of his former properties: the Grand Theatre. This performance is site-specific, meaning that it is developed uniquely for the various spaces inside the Grand Theatre. The audience is guided through the backstage and dark recesses of the Grand as they are immersed in the world of the story. 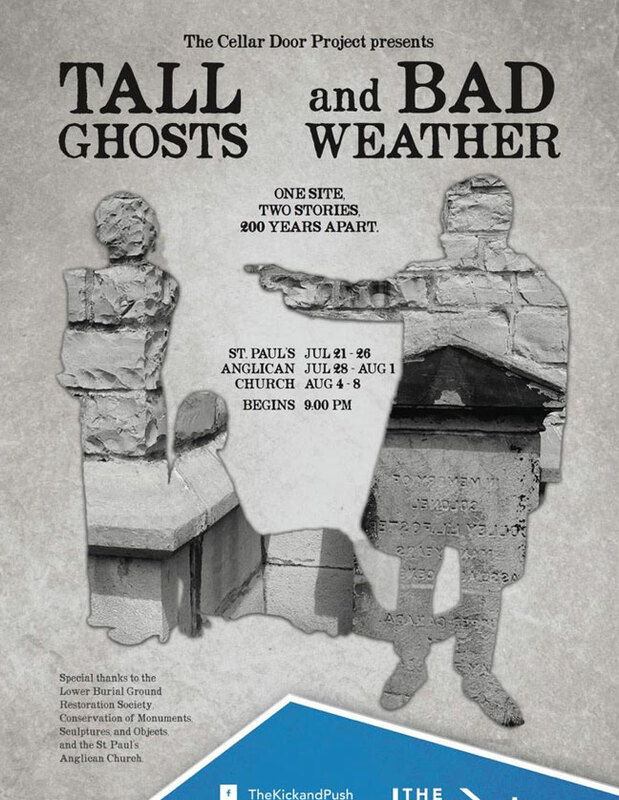 Tall Ghosts & Bad Weather is a dramatic exploration of The Lower Burial Ground at St. Paul’s Anglican Church. One site, two stories, 200 years apart. The Cellar Door Project is a historically motivated, site-specific theatre company, dedicated to reanimating local historical spaces. Following their plays in City Hall’s 19th century lockup, City Park, Queen’s Kingston Hall, the Royal Tavern, and a 1920s KP escape route, this production will explore the conservation efforts made by the Lower Burial Ground Restoration Society in 2008 in century old cemetery at St. Paul’s Anglican Church. Performing at St. Paul’s Anglican Church, 137 Queen St (at Montreal St). Please note: this performance takes place outdoors in the evening. Audiences are encouraged to wear long sleeves and bring bug spray to avoid mosquitoes. This ten time Tony Award winning musical brings you into a Broadway audition as 17 hopeful performers give everything they have for an innovative director who is looking to cast an all “chorus” Broadway Musical. 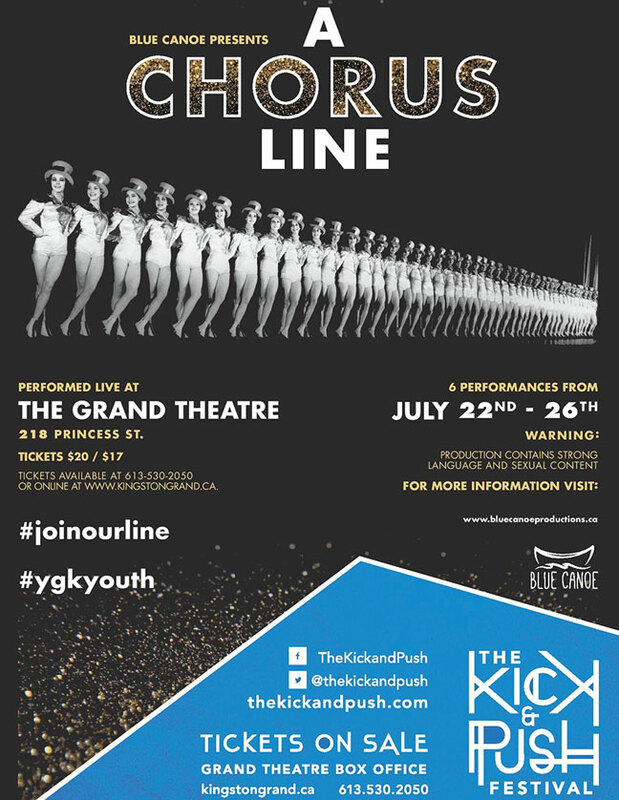 A Chorus Line provides a glimpse into the personalities of the performers and the choreographer as they describe the events that have shaped their lives and their decisions to become dancers and performers. Audiences have the option to “Join the Line” – a special ticket that allows them to enter through the stage door and be up onstage with the characters for the first few numbers of the show before finding their seats. 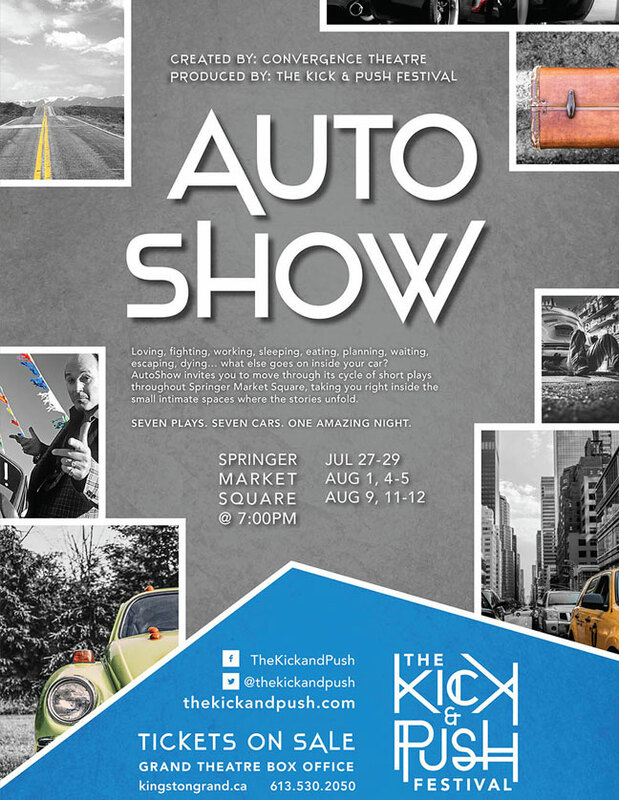 Loving, fighting, working, sleeping, eating, planning, waiting, escaping, dying… what else goes on inside your car?AutoShow invites you to move through its cycle of short plays throughout Springer Market Square, taking you right inside the small intimate spaces where the stories unfold. Seven plays. Seven cars. One amazing night. “Recreating the pleasures of nineteenth-century platform entertainment with a tart contemporary twist, Donald Margulies’ SHIPWRECKED offers a self-promoting fabulist a forum to inform and persuade, and it delights in both respects.” —Variety. The adventurous Louis de Rougemont invites you to hear his amazing story of bravery, survival and celebrity that left nineteenth-century England spellbound. Dare to be whisked away in a story of the high seas, populated by exotic islanders, flying wombats, giant sea turtles and a monstrous man-eating octopus. SHIPWRECKED examines how far we’re willing to blur the line between fact and fiction in order to leave our mark on the world. 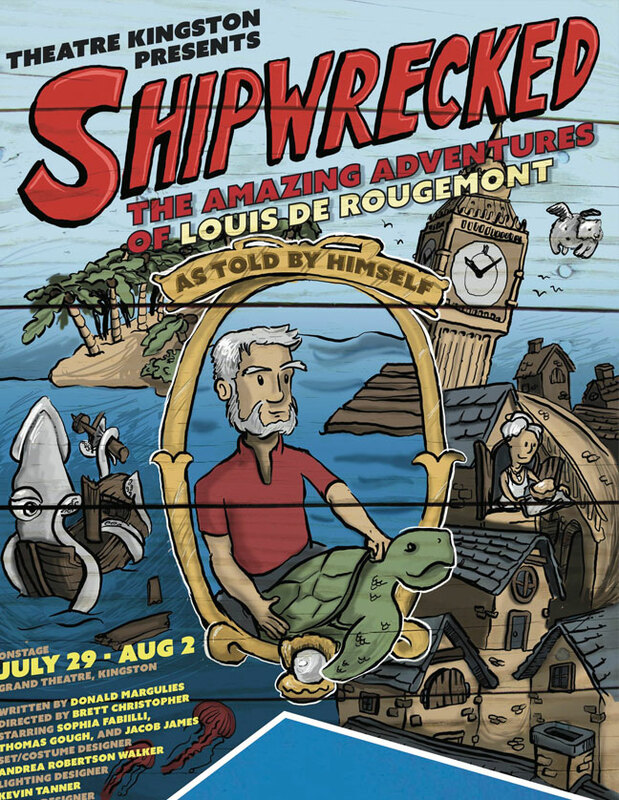 A celebration of the imagination, Shipwrecked is 90 minutes of non-stop adventure-filled fun for the entire family.